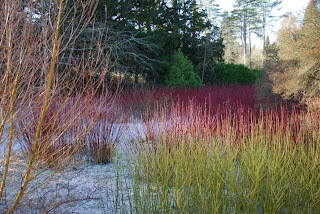 My favorite view on a winters day at the National Arboritum, Westonbirt, is that of the Dogwoods (Cornus sp.) 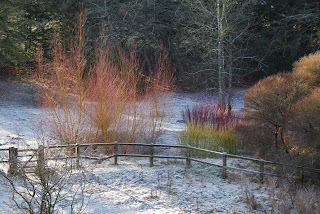 and Willows (Salix sp.) 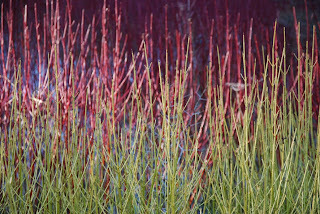 that are copiced each Spring just to provide this amazing winter display. When the sunlight catches them they are radient with rich colours.